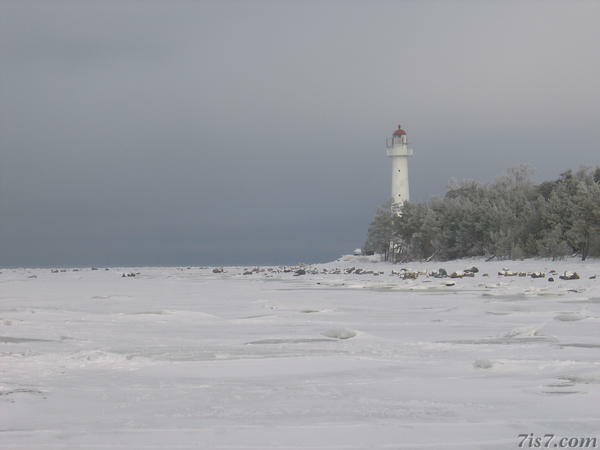 Saxby lighthouse on the Estonian island of Wormsi in the Baltic sea seen from the frozen sea during the winter of 2006. The 24 meter tall cast-iron tower dates from 1871, reaching 27 meters above sea level. It replaced a cast iron tower from 1865 whose light didn't reach far enough and was sometimes not visible due to fog. That tower was moved to Vaindloo where it remains to this day. The lighthouse was damaged during the war in 1918. After which it was restored to its present day appearance. Until the Second World War, Vormsi's population consisted mostly of Estonian Swedes. 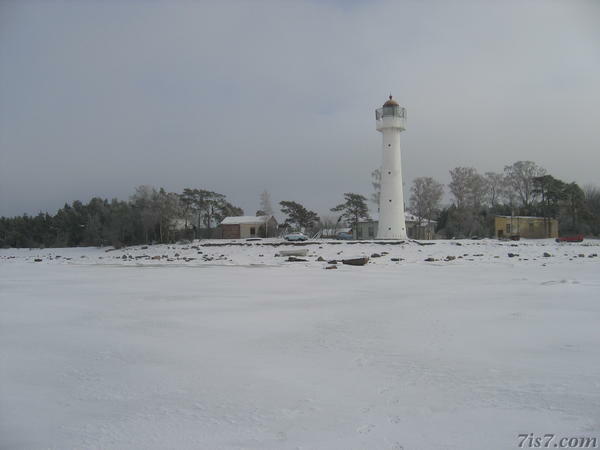 The name of the island in Swedish is Ormsö, which means "Snake Island". It was actually possible to drive to the island over a 12 kilometer long ice road across the frozen sea! Location: 59°1'39"N 23°7'3"E on: Google Maps, OpenStreetMap, Maa Amet.